Are Mercedes expensive to maintain? Owning a Mercedes is a joy usually reserved for the luxury end of the market. But what is the Mercedes service cost? 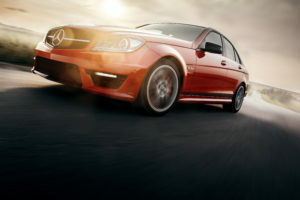 Owning a Mercedes is a joy usually reserved for the luxury end of the market. That is unless you find a particularly good second-hand deal. The German manufacturer is famed for claiming they invented the automobile in 1886, however that has been widely disputed. However, there's no argument about is the fact Mercedes have manufactured some incredible vehicles in the automotive industry. While you might be lusting over a Mercedes CLS Class or the C Class Cabriolet the sensible part of you is probably wondering, are Mercedes expensive to maintain? In this article, we'll explore the typical costs for maintaining a Mercedes and the prices you can expect to pay when something goes wrong.